A team of 110 researchers and clinicians, in therapeutics, diagnostics, devices and digital health in 25 teams at UCSF, has just shown us the future of translational medicine. It’s Lean, it’s fast, it works and it’s unlike anything else ever done. It’s going to get research from the lab to the bedside cheaper and faster. Welcome to the Lean LaunchPad for Life Sciences and Healthcare (part of the National Science Foundation I-Corps). 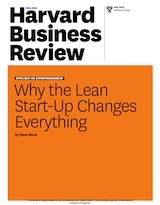 This post is part of our series on the Lean Startup in Life Science and Health Care. In the next few posts I’m going to share a few of the final “Lessons Learned” presentations and videos and then summarize lessons learned from the teaching team. 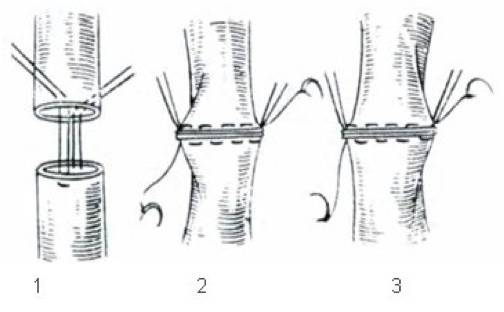 Magnamosis is a medical device company that has a new way to create a magnetic compression anastomosis (a surgical connection between two tubular structures like the bowel) with improved outcomes. Team Members were: Michael Harrison (the father of fetal surgery), Michael Danty, Dillon Kwiat, Elisabeth Leeflang, Matt Clark. Jay Watkins was the team mentor. Allan May and George Taylor were the medical device cohort instructors. Their initial idea was that making an anastomosis that’s better, faster and cheaper will have surgeons fighting to the death to get a hold of their device. They quickly found out that wasn’t the case. Leak rates turned out to a bigger issue with surgeons and a much larger market. Watch their Lessons Learned video below and see how a team of doctors learned about product/market fit, channels and pricing. Their slide deck is below. 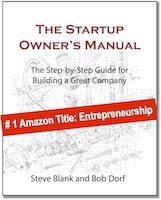 Don’t miss the evolution of their business model in the Appendix. The best summary of why Scientists, Engineers and Principal Investigators need to get out of the building was summarized by Dr. Harrison below. 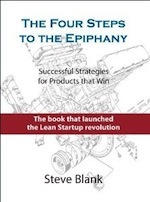 After working on his product for a decade listen to how 10 weeks of the Lean LaunchPad class radically changed his value proposition and business model. I just wanted to say thank you! I love hearing about the lessons learned, as I’m embarking on my entrepreneurial journey as well. Thanks!